How To Make Podcasts Like A Pro.com is one of the best places online to find information and training resources on audio podcasting! Snoop around the site and you’ll discover videos, posts, audio and even a free report that will teach you everything you need to podcast even if you’re a complete beginner. We also offer a complete “done for you” podcast product service, consulting (for individuals and businesses) and podcast intro and outro theme production. How To Make Podcasts Like A Pro was developed by Dan Lyons, an award winning Radio DJ of over 15 years. His shows have been broadcast right around the world. From Australia to the US, from the UK to Africa! Over the years some of the world’s biggest stars have agreed to appear on Dan’s show like Ben Stiller, Jodie Foster, Owen Wilson, Keith Urban, Steve Carrell, Paris Hilton and many more. 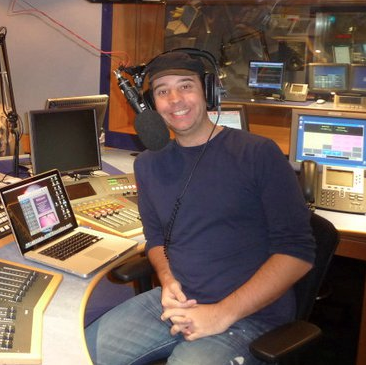 As well as being a Radio DJ, Dan also is a huge fan of podcasting for hobbyists, internet marketers, and bloggers. In 2009 Dan completed his Masters degree in Mass Communication and is a speaker at Blog World New Media Expo and a guest lecturer at some of the best media specialized universities. When he’s not locked away in his studio talking behind the microphone Dan is playing husband to his gorgeous wife Anouska and together they have a four year old dog called Bovril and a small boy called Will. In his spare time he enjoys exercising and watching TV and writing. He also enjoys travelling the world, cooking, and meeting new people from all over. If you want to discover podcasting and how it can transform your business, bring more traffic and authority to your blog or just to have fun, then How To Make Podcasts Like A Pro.com can help! 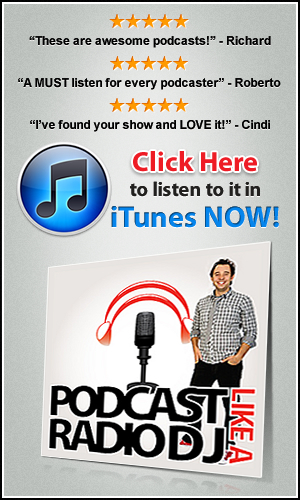 Sign up to receive our regular email newsletter and free podcasting report! And if we can help you with any questions or queries please email us using the contact form!